I am interested in attending an action! I am interested in hosting an action! My organization is interested in participating in the weeks of action. I can speak for my organization in signing us up for these weeks of action. You may receive updates from Rising Tide North America, the sponsor of this form. Stay Updated on #NoDAPL Solidarity Actions! 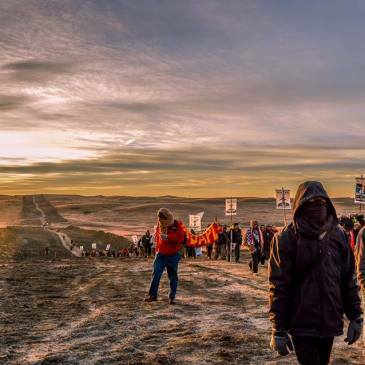 We need people to take action in solidarity with Indigenous land defenders on the Standing Rock reservation resisting the construction of the Dakota Access Pipeline. Sign up to stay informed and updated about solidarity actions in your area! If you are part of an organization that would like to participate in the global weeks of action, please note that when you sign up! In addition to signing up, please continue to check the actions map, which will be populated as people plan actions! If you are interested in planning an action, please sign up here.